Every day people die who have made valuable contributions to society. Too often their passing receives less attention than deserved, particularly in a youth- and celebrity-obsessed culture. This last point is important when noting the death earlier this week of Dr. Robert N. Butler at age 83 of leukemia. If known for nothing else, it was Butler who, in 1968, coined the term "ageism." By "ageism," you might think of bias in employment, housing, public services and the like. I tend to think of depictions of older people in film, videos, television and commercials. There are societies that honor and treasure their elders. The United States too often is not one of them. I find myself annoyed and offended by depictions and ridicule of older people as enfeebled, forgetful, clumsy and generally incapable. I tend to think that as 78 million baby boomers continue to age, their tolerance of these stereotypes will be limited. Which brings me back to Butler, described as "the George Washington of geriatric care" in the introduction to a public television interview. The man was not years but decades ahead of his time. Raised by grandparents, Butler wanted to be a hematologist, studying blood diseases, but turned to gerontology after observing what he considered callous disregard of the elderly by the medical profession. 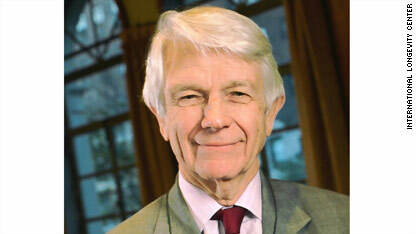 Butler's credits include: leading research at the National Institutes of Health that resulted in the pioneering work titled "Healthy Aging"; winning a Pulitzer Prize in 1976 for his book "Why Survive? Being Old in America"; founding director of the National Institute on Aging and establishing a department of geriatrics and adult development at the Mount Sinai Medical School, the first of its kind. If the measure of a man is what others say about him, consider this: "Not only was he the leading voice on issues related to longevity and the study of aging, but he was a moral voice who insisted that society value our elders in its public policies and programs," from Michael J. Burgess, director of the New York State Office for the Aging. Butler's most recent work was titled "The Longevity Revolution: The Benefits and Challenges of Living a Long Life." Indeed, the expected life span grew from 47 years in 1900 to 77 years today, but Butler contended medicine had not kept pace with that improvement. Indeed, experts have warned about a serious shortage of gerontologists in the years ahead, as the baby boomer generation ages. At the end of our talk, Dr. Butler surprised me by asking how long I want to live. "As long as I enjoy life," I said. Perhaps he knew he didn't have long to live. I can't help but to be touched now that he asked the question. "I think you've said it right," he assured me. "You want to live as long as you enjoy life. That's the real truth." I'm a Sociologist and I've studied a bit about ageism. It's amazing how much it is integrated into our culture without many of us even knowing the term or it's meaning. Rest his soul, although he was a bright man whose soul was at rest knowing that growing older means growing wiser; to know of the discrimination you will face if graced with age.